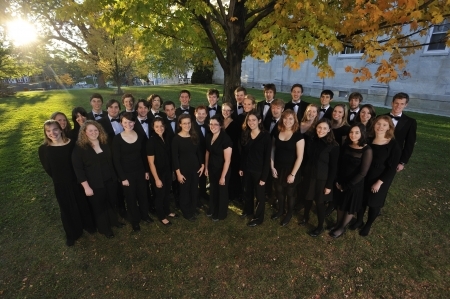 We are an all-female vocal ensemble at Middlebury College. The Women's Chorus is on temporary hiatus. Please email Professor Buettner with any questions! We enjoy singing a variety of music styles from quintessentially choral to contemporary, including music in foreign languages and different styles. We perform at various locations on and off campus. We are a close-knit and fun group looking for anyone who enjoys singing as much as we do!